11 customers were able to try this promotional product before it sold out at 8:00 PM on December 13. The regular, guaranteed lowest price on 300 of these pens would be $226 with set-up! Cross your promotional threshold and find success! 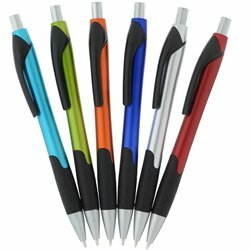 Get “write” into writing with these click-action pens. 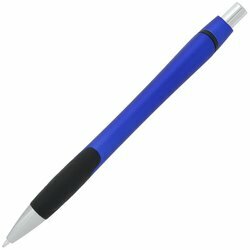 Designed with a curved, rubber grip for comfortable writing. Customizable pens are the perfect giveaways at tradeshows and expositions. Pens include chrome accents and a black, plastic clip. Medium-point, black ink is standard.